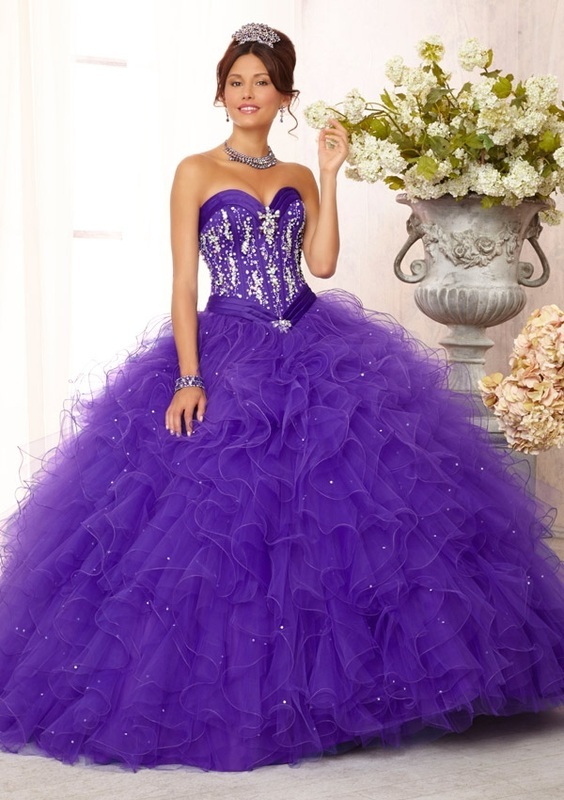 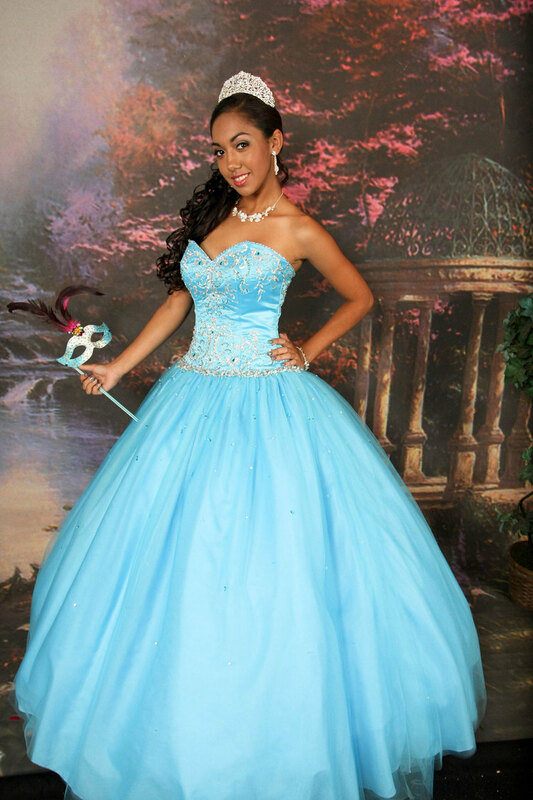 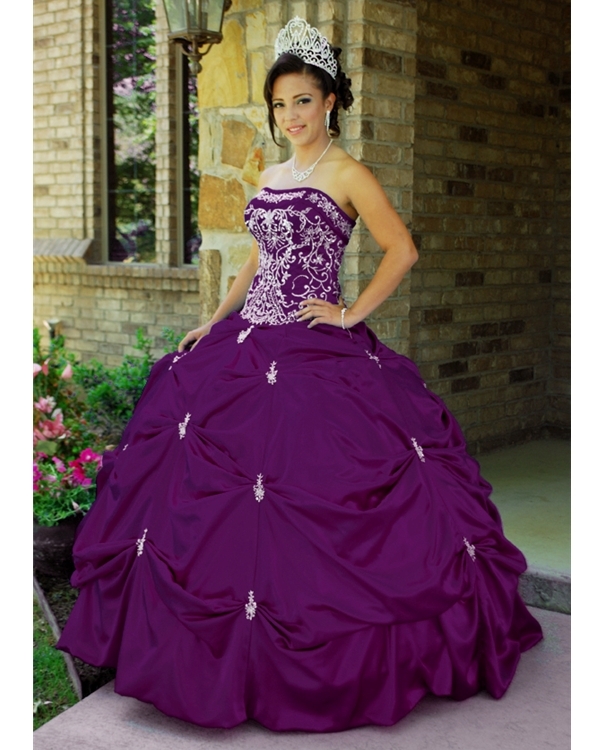 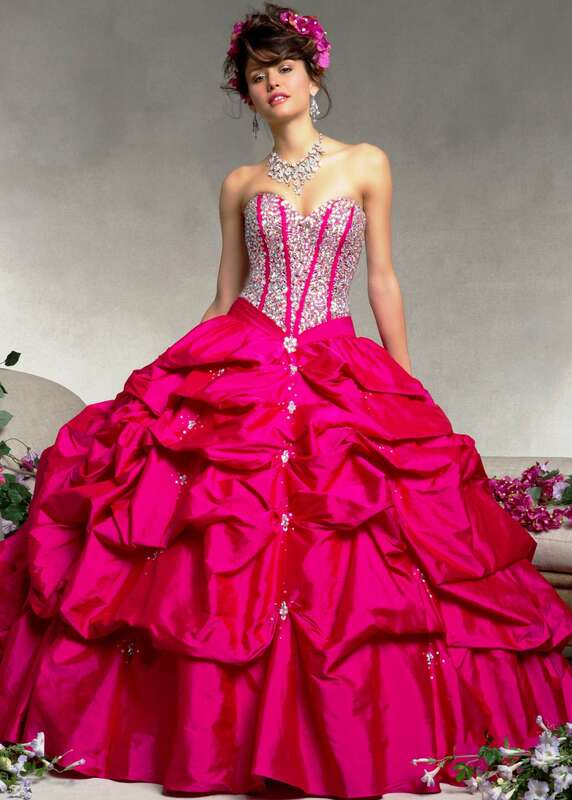 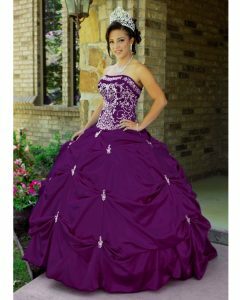 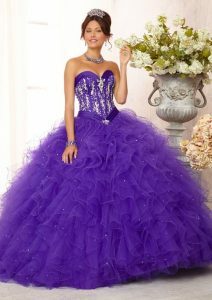 On the occasion of your fifteenth birthday make all eyes focus on you by decking up beautifully in a gorgeous and grand Quinceanera gown. 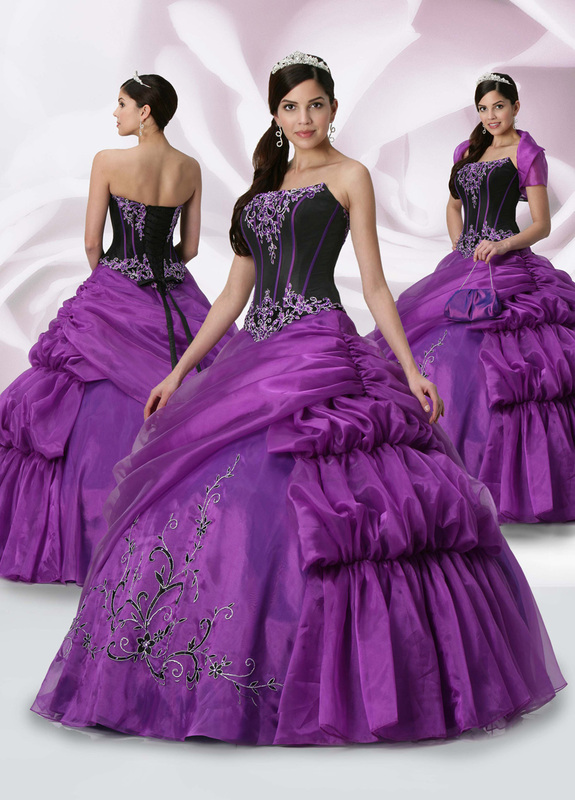 If you are thinking about which color to focus on, then try the purple one that may also be combined with shades of white or pink. 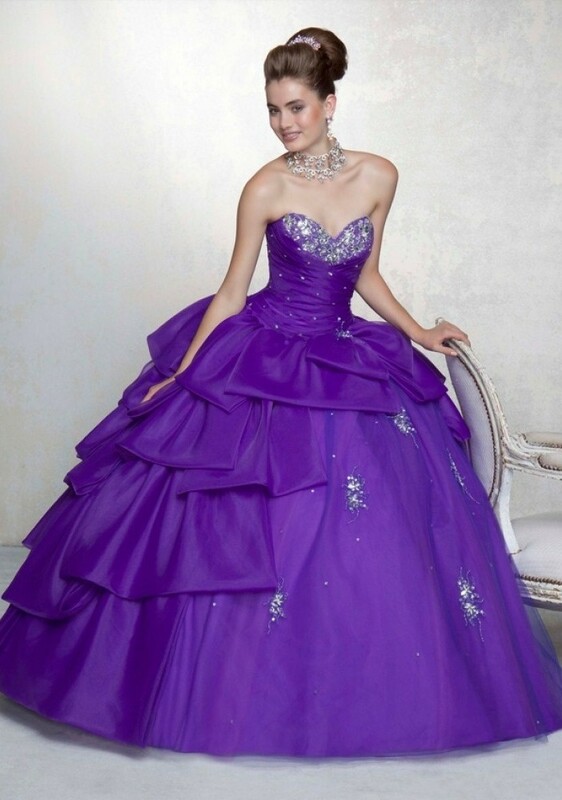 A long, strapless, puffy, feather style gown looks marvelous. Get a grand look by wearing a matching or silver neckpiece and a good-looking stud. 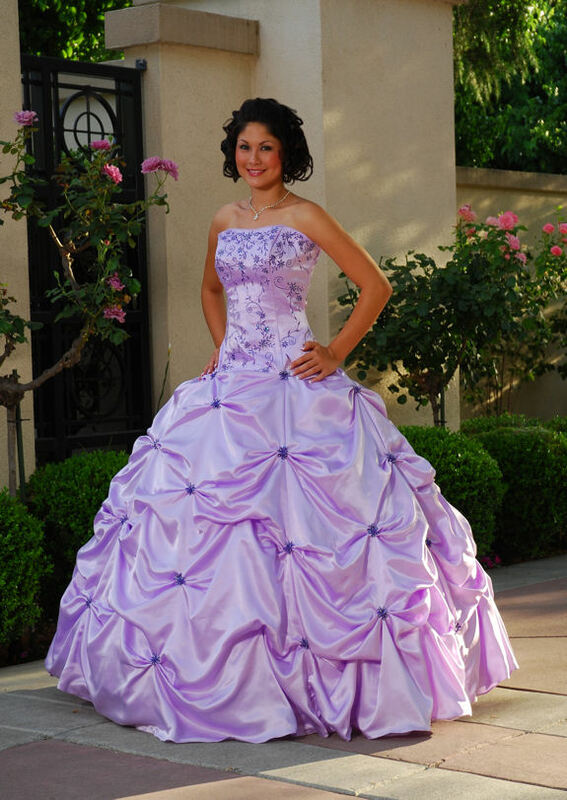 Purple or silver sandals match your outfit well. 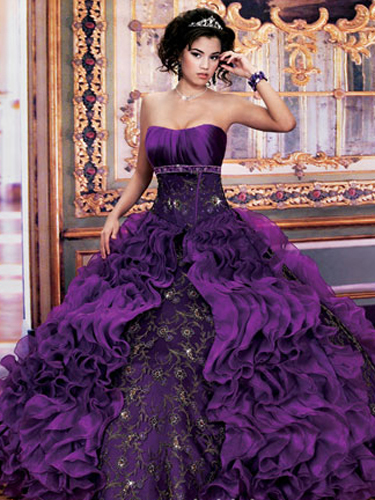 Your hair can be done into a neat bun and adorned with fresh violets. 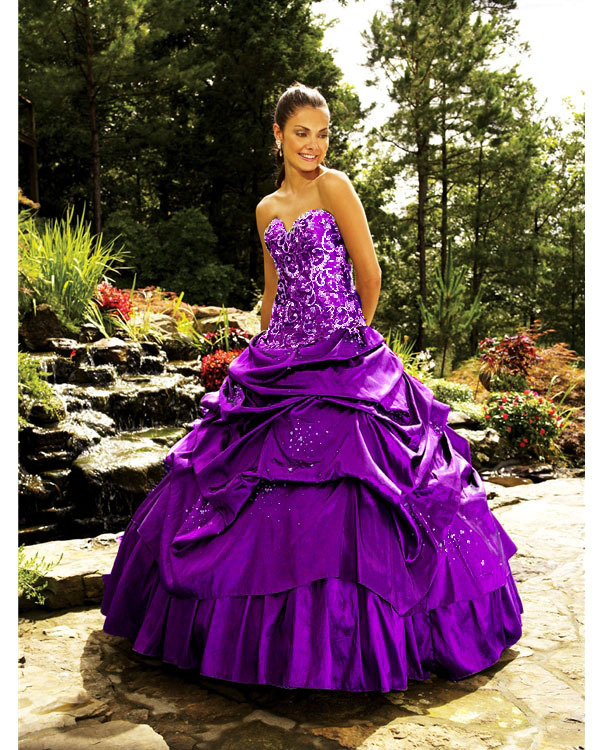 A crown or a tiara makes you look like a princess, all set to rock the ball floor in search of her prince charming.